No one of us wants to look old, right? Well I’ll not say “we don’t want to grow old” because I don’t know about you, but atleast I want to. I want to see every phase of my life and live it fully with my loved ones.. Not being sentimental, let’s see this from a skincare lover’s point of view. Wrinkles, ageing and stuff like that seems like a horror to every single woman out there, right? Either you are stepping into your thirties where these factors may haunt you or you don’t want to be in such a phase, youth serums come in handy. They are very helpful in instant smoothing and tightening of the skin along with reducing the wrinkles and fine lines. A youth serum acts as a barrier between our skin and the environment to protect it from the harmful UV rays, pollution, weather conditions and other age damaging factors. 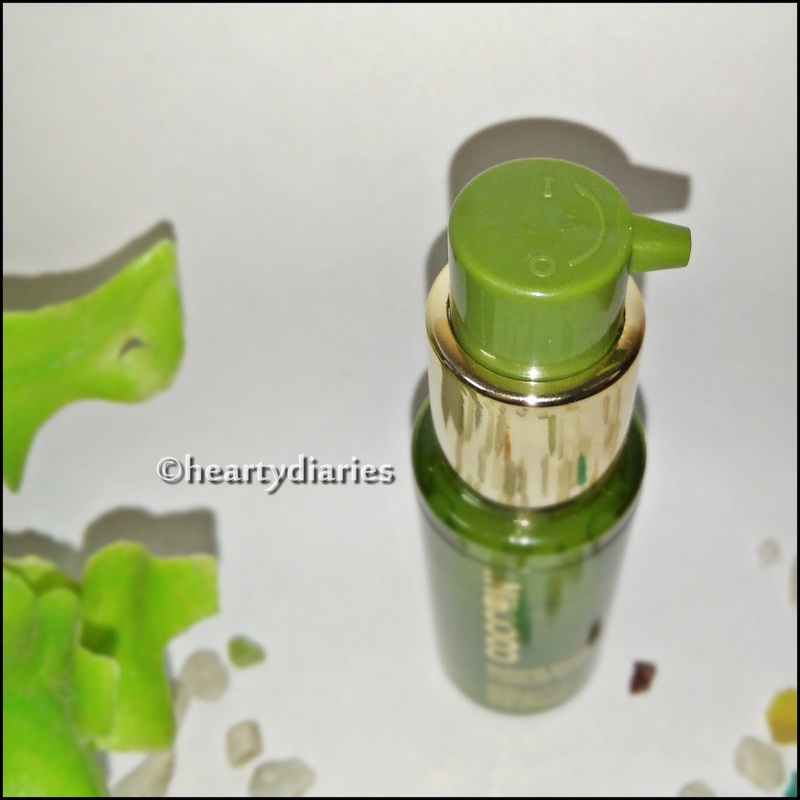 It also revitalizes, brightens, smoothes and improves the overall texture of our skin,. With increasing competition in the market, we have thousands of Youth Serums available but not each of them is worth our money. 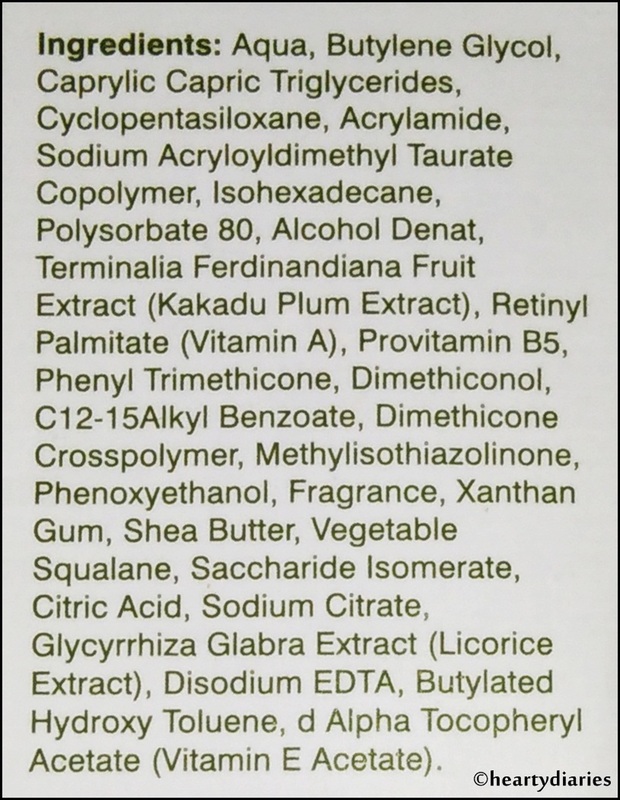 Today I am going to review one such serum so that you can make out whether you’d like to spend your money over it or not. 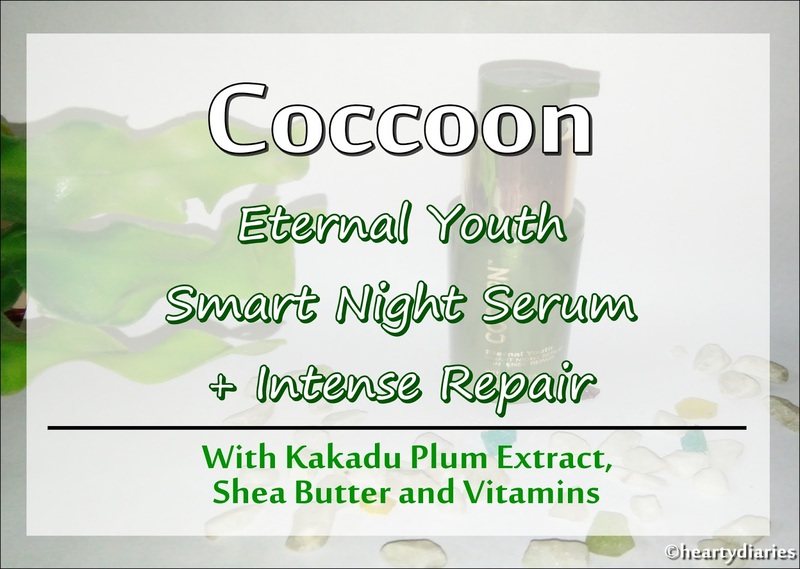 As you already know by the title of this post, today I am going to share my review about Coccoon Eternal Youth Smart Night Serum which I received in my July 2017 My Envy Box. I know I am late.. August has also ended almost but better late than never! I had scheduled this review at the starting of this month but unfortunately, it kept on getting delayed due to one reason or the other. Anyways, without further ado, lets dive in to the review. Please keep on reading this post till the end to know my overall experience, opinion and final verdict.. But before that, please take a minute out of your valuable life to write a “testimonial” or “comment” for me using your Facebook account here as I really need it to win The Indian Blogger Awards 2017.. 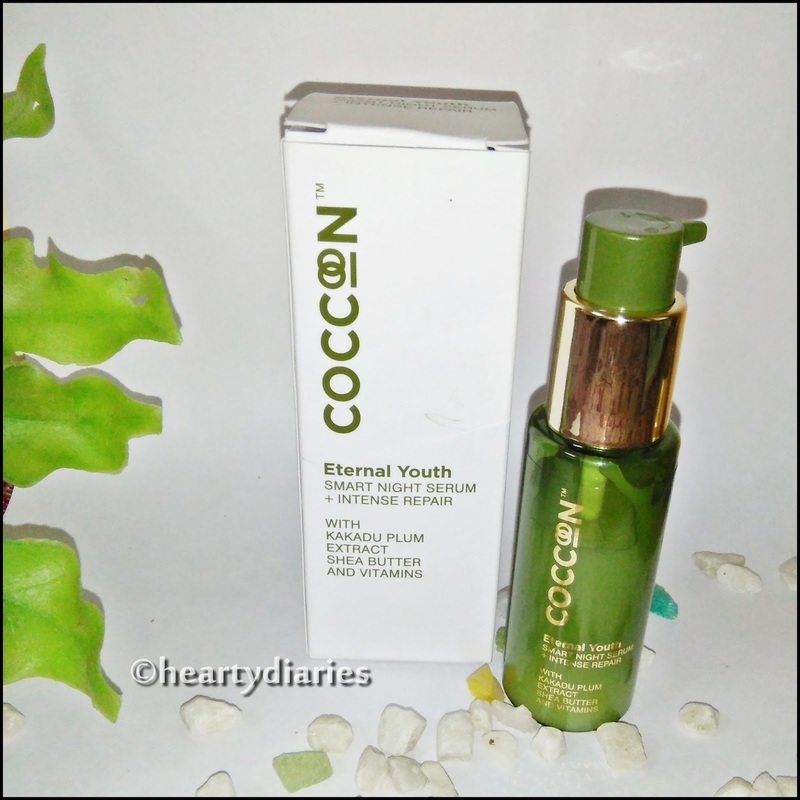 Product Description: Eternal Youth Smart Night Serum + Intense Repair works to protect, brighten and nourish your skin while you sleep. Long term use helps reduce fine lines, wrinkles, and dark spots too. Packed with vitamins, Kakadu Plum Extract, Shea Butter and Licorice, it’s anti-oxidants and restoring properties will give your beauty sleep a whole new meaning. Directions of Usage: Apply a few drops and rub gently over entire face, avodiing the eyes, before going to bed. Caution: For external use only. Avoid contact with eyes. In case of contact, rinse immediately. For sensitive skin, please consult a dermatologist before use. Keep out of reach of children. Store in a cool and dry place. Availability: Here, here, here and here..
Packaging: This product comes in a white cardboard box which has all necessary details mentioned on it. 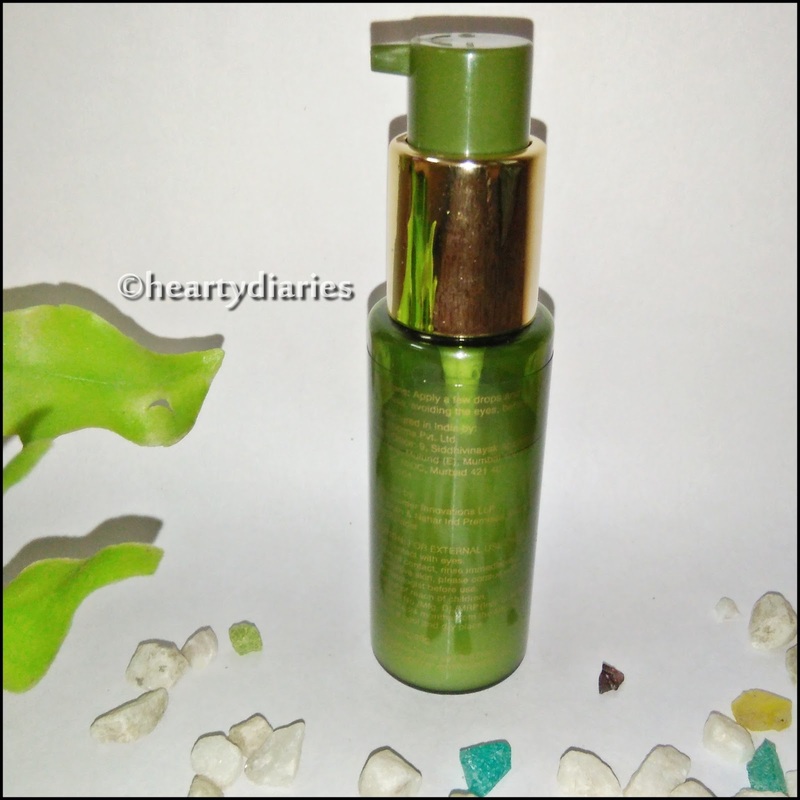 The serum comes in a green colored, transparent, plastic pump bottle with golden detailing. The pump has a locking system which prevents the product from spilling while travelling. The overall packaging is convenient, hygienic, travel friendly, cute, classic and sturdy. 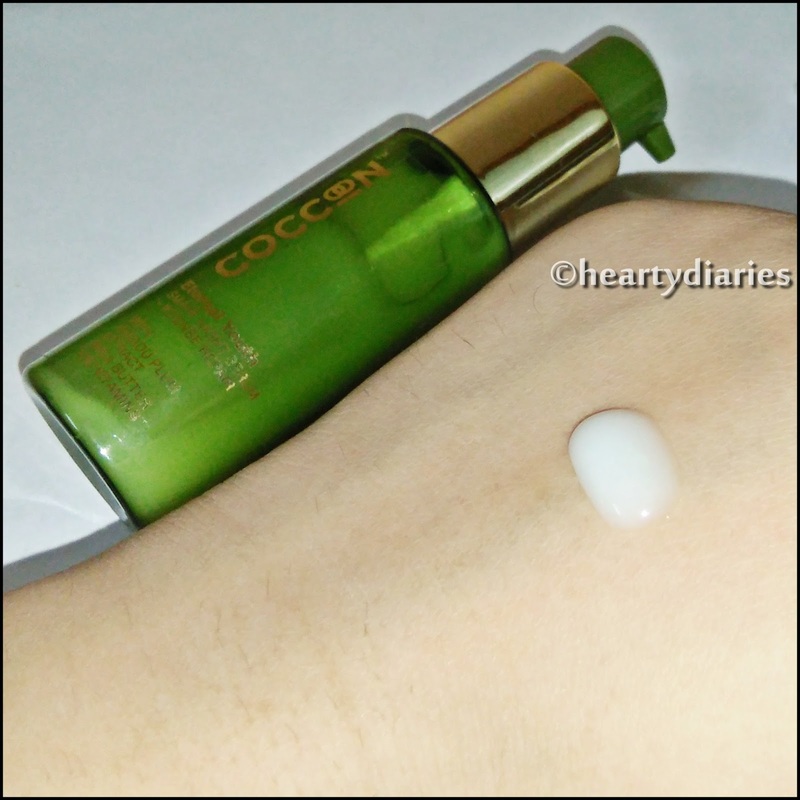 Texture and Consistency: This serum has a semi-transparent, white colored, very light, non greasy, gel-like texture and a consistency neither too thick nor too thin. 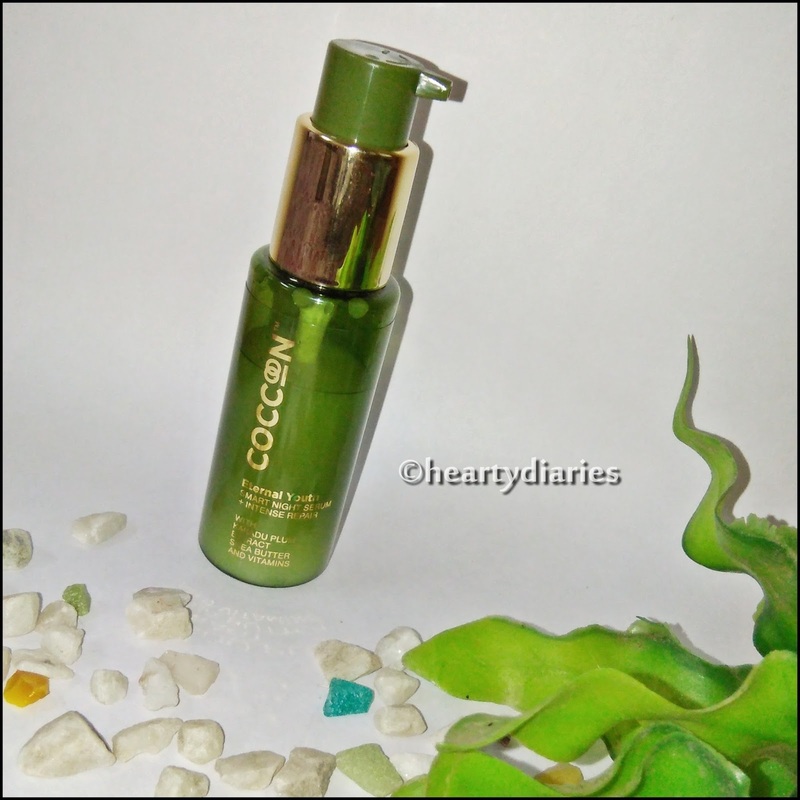 After using it regularly, she can conclude that this serum is powerful and works really well. The beautiful smell lingers the entire night and keeps her really fresh. She wakes up with a much softer and bright skin each day. This serum works effectively in reducing fine lines and provides intense hydration to the skin. It makes the skin bright and after regular use, lightens the spots as well. Since she doesn’t have wrinkles, I cannot really comment on that but for fine lines and other things, it works beautifully just as claimed. The formula is really very gentle, removes dead skin cells, brightens the skin from inside and makes the face look really young and radiant. WE ARE IN LOVE! Definitely. 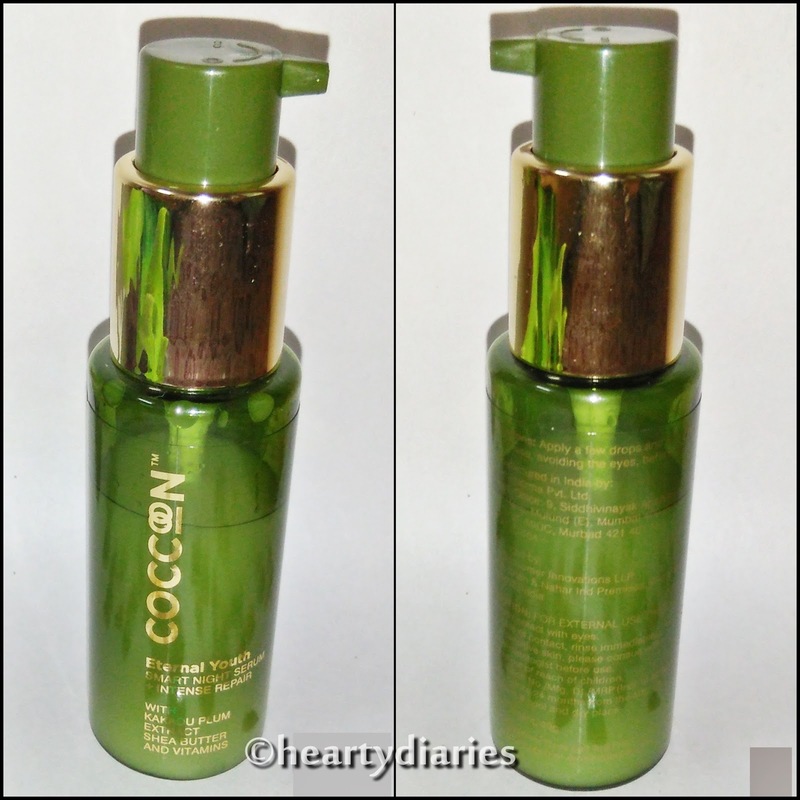 By now you would already know that I love this product, so I’ll definitely repurchase it!! Yes. Try this product at least once or gift it to your mum! You all will love it! Yes. It lives up to the claims and works effectively, so for me its completely worth the money charged. My Advice: Use this product on a regular basis after doing your skin care routine for best and noticeable results. Final Verdict: I am so thankful to My Envy Box for giving me and my mum a chance to use such a nice product. This serum works really well, has a beautiful fragrance, nice packaging and awesome result. Seems like a partner for life! I've never heard of this brand. Despite being pricey it sounds amazing for the skin.